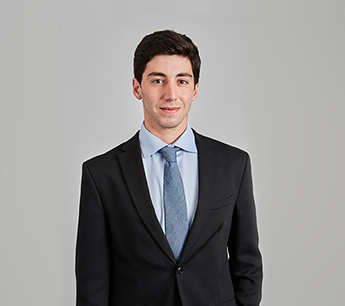 Alex Hedaya is an Associate Director with RKF, specializing in both landlord and tenant representation throughout Manhattan and the Outer Boroughs, with special focus on Long Island City and Brooklyn. He began his career with RKF in 2015 as a Canvasser, updating the firm’s proprietary maps and databases, as well as collecting market information. Alex is currently marketing several high-profile retail opportunities in Brooklyn. At 472 Atlantic Avenue, he is part of the retail leasing team seeking tenants for 15,693 SF, at 205 Smith Street he is marketing 16,365 SF, and at 461 Dean Street he is marketing two spaces, one for 2,352 SF and a second for 867 SF. In Long Island City, Queens, he is marketing 710 SF at 27-19 44th Drive. Recently, on behalf of Flank, Alex arranged leases at 71 Smith Street in Boreum Hill to Rowhouse, White Noise Coffee and F45 Fitness. Alex’s tenant representation clients are equally as impressive. He recently represented Murray’s Cheese for its first restaurant concept at 28-30 Jackson Avenue in Long Island City; he represented Butler NYC at 60 Water Street in Dumbo. Prior to joining RKF, Alex worked in production at Colordrift LLC and interned at Mann Bros Inc. Alex attended the University of Delaware, where he majored in Management Information Systems, as well as Baruch College. He is a licensed Real Estate Salesperson in the state of New York and a member of the International Council of Shopping Centers.